The Virginia Commission for the Arts does not require you to provide any personal information when using its Web site. In the event that you request information from us, it may be necessary for you to provide enough information to process your request. Use of "Cookies"
If you decide to send us an electronic mail message (e-mail), the message will usually contain your return e-mail address. If you include personally-identifying information in your e-mail because you want us to address issues specific to your situation, we may use that information in responding to your request. 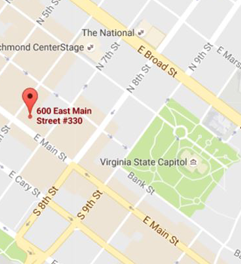 We do not distribute lists of e-mail addresses to any parties outside of The Virginia Commission for the Arts. Except as required by law, we do not share our e-mail with any other outside organizations. Also, e-mail inquiries sent to The Virginia Commission for the Arts are not secure or confidential. On some of our webpages we offer interactive forms that let you voluntarily submit personal information (such as your e-mail address, name, and address). This occurs when you are requesting information, ordering publications, or registering for various conferences, workshops, or training sessions offered by The Virginia Commission for the Arts. All submitted information is used only for the expressed purposes for which it is intended and is not made available to any third party. We collect, retain and use personal information about our customers, other than mentioned above, only when they volunteer to subscribe to a Virginia.gov premium service. We only collect, retain and use personal information where we believe it is essential (and allowed by law) to administer our business and to provide products, services and other opportunities requested by our customers. We provides content in several formats that require plug-ins, or separate browser components, to properly view. All required plug-ins are free to use. If your browser or assistive technology can not view the content using the plug-in, please contact Customer Service for an alternate version of the content.